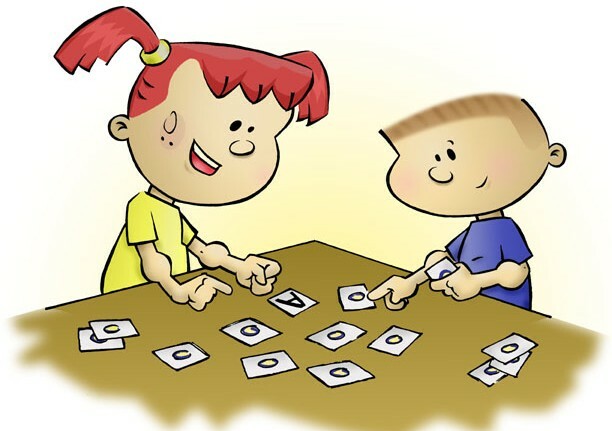 A fun-filled and worthwhile activity for both adults and children is playing memory games. Not only do these games sharpen the memory, but they also allow us to socialize and have fun time, which enhances our overall well-being. Memory games exercise the brain, making it more sharp and alert. If you play memory games at least thirty minutes every day, your concentration and focusing ability will improve. Memory games have been shown to help prevent some memory-related illnesses, such as Alzheimer’s disease. 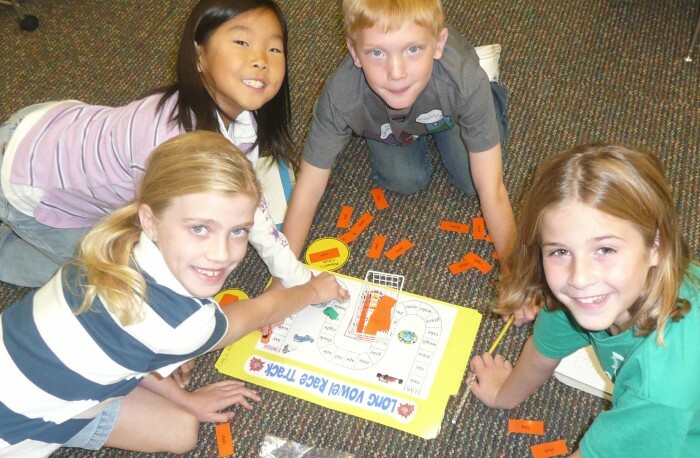 Memory games enhance other brain functions, such as attention level, and reading and reasoning skills. There are many different kinds of memory games from which to choose. Our collection includes memory games for every age and ability level. We have short, quick games that need no preparation, games that use a deck of cards, and word memory games. 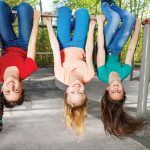 We have games to play alone, in groups, and with teams. Read on for the perfect memory game for every age and occasion. Several games of memory can be played with a regular deck of cards. Any deck of playing cards may be used. Lay out the 52 cards in four rows of thirteen each. If you wish, you may include the jokers in six rows of nine cards each. Players take turns choosing two cards, placing them face up. If they are of the same rank and color (for example, six of diamonds and six of hearts) that player wins the pair and plays again. If the cards are not of the same rank and color, the player returns the cards to the board face down and play passes to the player on the left. The game ends when a player picks the last pair. The winner is the person with the most pairs. Players may end up in a tie for first place. Concentration is another name for Memory. Concentration is also called by other names, such as Match, Match, or Pairs. Cards are laid face down on a surface and two cards are flipped face up for each turn. The object of the game is to turn over pairs of matching cards. If a player succeeds in matching a pair, they have another turn and continue until they fail to match two cards. The object of the game is to find the most matches. Concentration is played by one or with any number of people. It is an especially good game for young children. However, adults find it challenging and stimulating as well. The Concentration Game is often used in quiz shows and employed as an educational game. A version especially good for young children, as pairs are matched that are the same color, and rank is not necessary. Players who make a successful pair win these cards, but they do not go again until their next turn. Pairs may only be formed by cards of the same rank, but opposite in color, so the five of diamonds would match the five of clubs or spades, but not a five of hearts. For a much longer game, shuffle together two 52-card decks. Lay them out in eight rows of 13 cards (9 rows of 12 cards if using jokers). Matched pairs must be identical – the same rank and same suit – so the 10 of clubs would have to match the other 10 of clubs. Duel is a two-player game. Each player shuffles a full 52-card deck and lays it out in front of them in four rows of 13 cards. The players cannot access each other’s cards. Player 1 starts, flipping one card face-up, then player two selects one card from their side. If the pair is a match, cards are removed, if not, they are flipped back. Pairs must be identical, the same rank and same suit. After every turn, roles are exchanged, with player two flipping a card and player one answering. A slightly easier version of the two-pack game uses decks with different backs. Shuffle the cards separately. Deal them out in a checkerboard pattern, alternating cards from the two decks. The different card backs significantly reduces the possibility of matches and makes this game challenging. The cards are laid out in a strict rectangular grid, but in a circular, triangular, or diamond-shaped formation. The dealer selects any layout they wish. A version with the same rules as standard concentration, the cards are not laid out in neat rows, but strewn randomly about on the floor. Concentration is not limited to playing cards. Many versions of the game are designed and sold for children with different themes. There are even computer versions where the cards may randomly move to increase the difficulty. In this game, place common things, such as pencil, key, marble, fork, penny, etc. on a tray. Cover the tray with a cloth or paper. Display pencil, key, button, marble, fork, etc. on a tray or one minute (or whatever time is age-appropriate for the players). Cover the tray again and have the players write a list of the items on the tray. The player with the most items correct wins the game. You can also take away one thing and ask what has been removed, a good way to break a tie. What foods are in the picture? How many of each type? The winner is the player with the best memory – the Memory Master. A game that parents can use to help their children improve memory and sequencing, kids love this game because it is fun and fast-paced. All you need for this game is a handful of coins, a cloth to cover them, and something to time the players. Choose five coins from the pile and put them into a sequence. For example, line up two pennies, a dime, a quarter, and a nickel. Have the players look at the coins and then cover them up. Instruct the players to take coins from the pile and arrange them in the same order. Use the stopwatch to time their effort. The winner is the one who can complete the sequence in the shortest amount of time. The Trivia game involves choosing a topic, such as movies, songs, books, dogs, etc. and asking questions related to the theme or topic. You can print out facts from the internet, or simply use a portable computer to generate questions. Playing the same topic more than once is really a memory booster for kids. Players sit in a circle and one person begins a story using any sentence they wish. The players take turns repeating the sentences and adding a new one. If someone misses a word, they are out. The kid able to tell the story without a mistake is the winner. A team memory game, one team leaves the room and the other team changes things in the room to make mismatches – the placement of furniture, lamps, rugs, etc. When the second team returns to the room, they find the mismatches and get a point for each. Then the second team takes a turn finding the mismatches. The team with the highest score wins the game. A game frequently seen at carnivals, you will need three plastic cups and a small item such as a coin. Invert the three cups and place the item under a cup, making sure those watching know which cup it is under. Move the cups around and ask which cup the item is under. An excellent test of memory and concentration, take turns moving the magic cups and see which player does the best at finding the coin. Many remember playing the popular Memory Train game in their childhood. 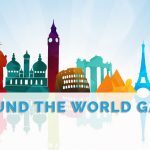 The game begins with a player saying the statement: “I am going on a vacation and I am packing my suitcase. I am taking my . . .” The next person repeats the phrase and adds an additional item. The game continues, with each player saying the phrase, all the previously mentioned items, and adding a new one. Players are eliminated if they make a mistake. The person able to repeat the phrase for the longest time wins. You may use any phrase you wish to start the game. For example, you could go shopping and purchase items, or on a picnic and take food. List all the colors that you know in one minute, in two minutes. List all the words that you know that mean small (tiny, little, petite, miniature, nano, micro, elfin). List all the breeds of dogs you know. List all the words that you know that mean red (scarlet, auburn, crimson, brick, lipstick, cherry). For an extra challenge, have players clip paperclips together while saying the words in the chosen category. A fun game that can be played anywhere, this rhyming game is good for vocabulary development and can be played by any age. Frequently, the game begins spontaneously when a person simple says a word that rhymes with one said by another person. For example, someone may say, “Don’t worry. I fed the cat.” A person responds, “Bat!” and other players take turns saying rhyming words. You must say words in order and are “out” if you repeat a word that has already been said. The goal is saying rhyming words with the same vowel sound, so if a person said, “Cat!” following possible words include, bat, rat, flat, sat, etc. Play this game with any age level by increasing or decreasing the level of difficulty. Use easier words and a shorter list for younger players and a long list of more difficult words for adults. Simply write a list of random words in large letters. Make two copies and cut one into individual words. The player looks at the list for a long enough to get them into their mind. Then they take the cut-apart words and put them in order to see how many they get right. You can keep score and the player with the most correct wins. In this game, players attempt to spell out words without completing the whole word. The first player selects a letter and says it aloud. The other players add letters and try not to finish the word. For example, the first player says the letter “B.” The second player says “O.” The third player does not want to add a Y or a W because those two letters would complete words – boy and bow. If the third player adds an “M,” the word is not completed. The next player can challenge the second player if they think there is no word beginning with “bom.” If the second accepts the challenge, realizing the word “bomb” will work, the second player loses a point. Play continues until a certain predetermined point level is reached. Spell your full name (first, middle, and last) backwards. Recite the pledge of allegiance backwards. 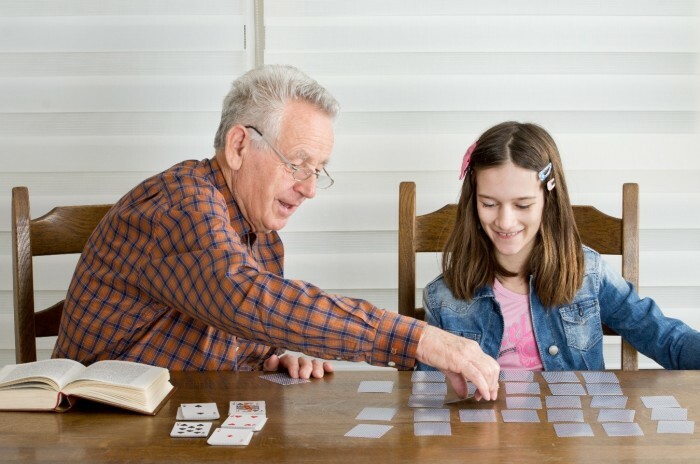 Whatever one’s age or ability level, there is a memory game perfect for strengthening and improving memory. 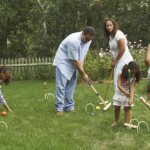 Additionally, these games help children develop their cognitive abilities, necessary for children to do well in school. 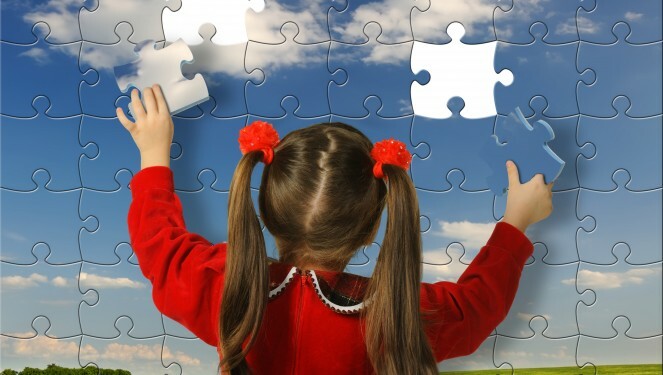 Have fun while improving your memory with the selection of memory games we have provided. Thank you! These ideas are so helpful! I will be using several of these in a church youth activity to help them memorize The Living Christ: The Testimony of the Apostles, The Church of Jesus Christ of Latter-day Saints. Thank you very much for these ideas, I used multiple of them to help with my senior project on severe memory loss.